and start living in accordance with it. For a phenomenal life, as inspired by Yoga Science. 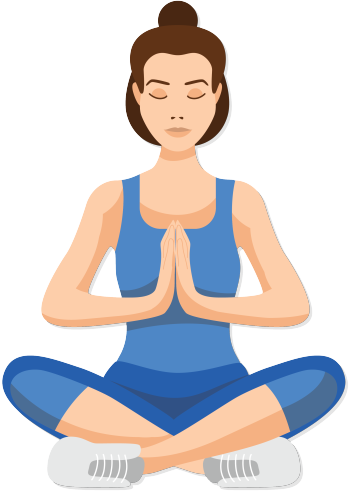 What is the Inner Insight Assessment? Triumph’s Inner Insight Assessment is the most comprehensive way to discover your true, authentic self, and to start living in accordance with it. It is a 15-20 minute assessment of your emotional state, energy state and core values, designed to give you insights into your personality like never before. 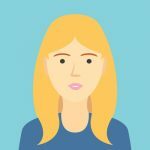 We use a combination of over 100 unique qualifiers to give you an accurate, personal profile from which you can then use to effectively improve your health, happiness and success! Why take the Inner Insight Assessment? Understand yourself and others like never before. Begin creating honest relationships with people who matter. Learn how to connect and interact with others. Boost your daily workflow output and energy levels. Discover why you make certain decisions, and learn how to take control over your life. Discover what makes you happy, and what doesn’t. Use this to make the right choices for your health and happiness. Figure out the first steps on your roadmap to success. The philosophy of learning your true, authentic self and living in accordance with it. 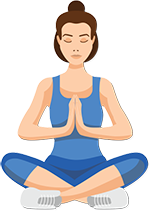 We use ancient, tried and tested yoga principles interpreted for the modern age. Precise personal insights that inspire positive action. Learn which energy state is positively or negatively affecting your decision making, and how you can change it. Discover your core values, and understand what really matters to you. Gain Insights into your emotional profile like never before. Understand your personality and what makes you unique. Discover your true, authentic self and start living in accordance with it. 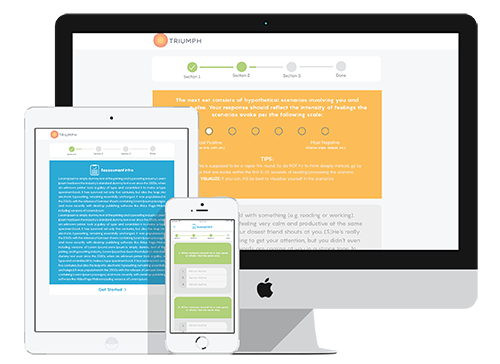 How is The Inner Insight Assessment different from other personality tests? Because we are more than just a personality test! While other tests rank you against familiar personality traits, our assessment digs a little deeper. 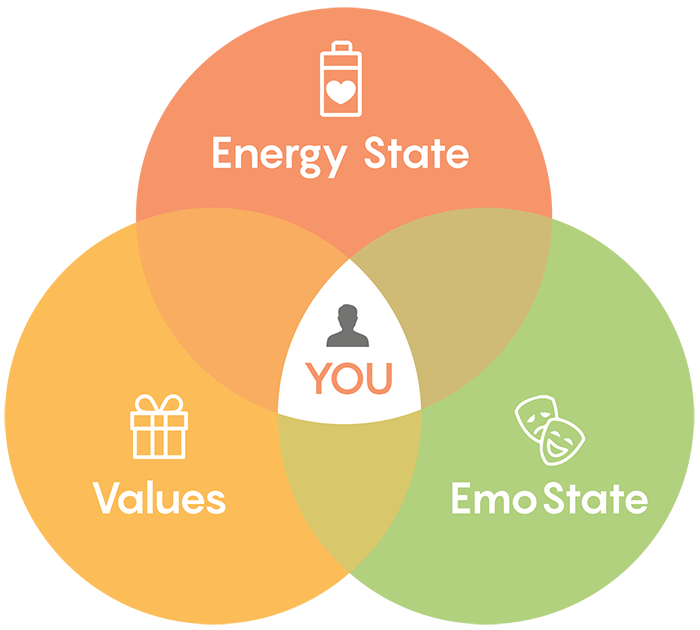 You’ll gain insights into your Core Values, Emotional Profile and a look at your Energy State. Discover what drives your decision making and start improving your life immediately! The Inner Insight Assessment is for anyone looking to improve their life and needs some direction on where to start. It’s also for anyone curious about what makes them make the decisions they do, and how to be able to take control over some of those decisions. The assessment was developed by us here at Triumph. We are a multicultural group of Personal Development obsessives, with many years of experience in mentoring, business development, yoga and health oriented practices. We developed this assessment as a way for ourselves and others to discover their true, authentic selves, as we believe that by doing this you are better able to make more accurate decisions in your life. Living in accordance with your true self can have positive benefits in your relationships, career, health and happiness. Is the Assessment Really Free? Yes it is! You can take the Inner Insight Assessment for free right now, and receive your results immediately.